The first phase of a £2.5m regeneration scheme in Rotherham has completed with the opening of a popular Toby Carvery pub restaurant. A prominent brownfield site at Eastwood is being transformed by a regeneration scheme centred around new food retail units. The vacant site at Mushroom Roundabout was previously home to a D.C. Cook car dealership but has been empty since 2008 following demolition. Wilton Developments acquired the 2.4 acre site in 2012 as part of a wider Dansk supermarket portfolio - Netto was progressing plans for the site before they were acquired by ASDA in 2011. Pub group, Mitchells & Butlers purchased 1.22 acres of the site for a two storey Toby Carvery. QFM has acquired the remaining 1.18 acres and is set to deliver three further food and drink outlets. Plans show that occupants could include Costa, KFC and Hey Potato! and that the total jobs created could be 100. Work got underway in March for the 250 cover pub restaurant - the first in the borough - with Pacific Building undertaking the groundworks, preparation, excavation and drainage and IB Construction completing the build. 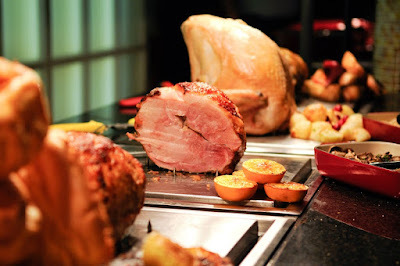 Toby Carvery is a family friendly restaurant targeted specifically at the family dining market and is one of the brands operated by Mitchells & Butlers, the UK's largest operator of managed restaurants and pubs. The "home of the roast" pub opened at the end of October with a number of special offers. Jason Stowe, managing director of Wilton Developments, said: "The site lies just over a mile from the town centre and fronts a busy roundabout so we knew it had strong investment potential. "We worked closely with the purchasers to secure planning permission for a change of use in order to redevelop the site, bringing it back into beneficial use and creating almost 100 new employment opportunities." Agent WSB acted on behalf of Wilton Developments in concluding these deals. Adam Mobley, equity partner at WSB Property Consultants, said: "After advising Wilton Developments on potential demand for the area, the sale of the site, to Mitchells and Butler and QFM, one of KFC's main franchisees, ensures that the demand for leisure opportunities in this area of Rotherham can now be met. "The new pub restaurant, drive through KFC and two further leisure units will bring this redundant site back to life, creating jobs, investment and regeneration." Plans have recently been updated for the second phase of the scheme which already has approval for Unit A - a single storey Drive-Through, and Units B & C - 2 two storey restaurant / take away.